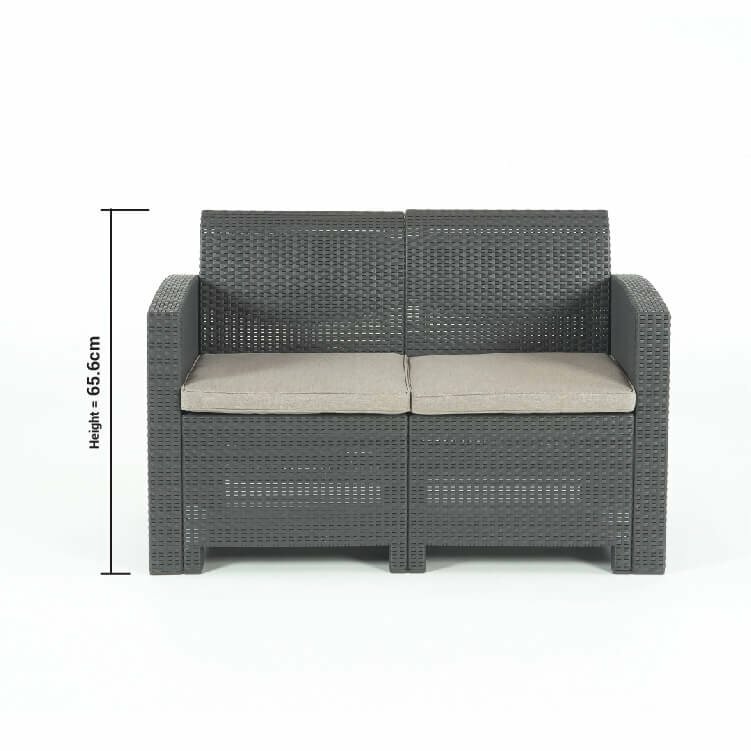 Space savings and pleasingly designed outdoor furniture, the BillyOh Florence Rattan Sofa Set is designed purely with your comfort and relaxation in mind. 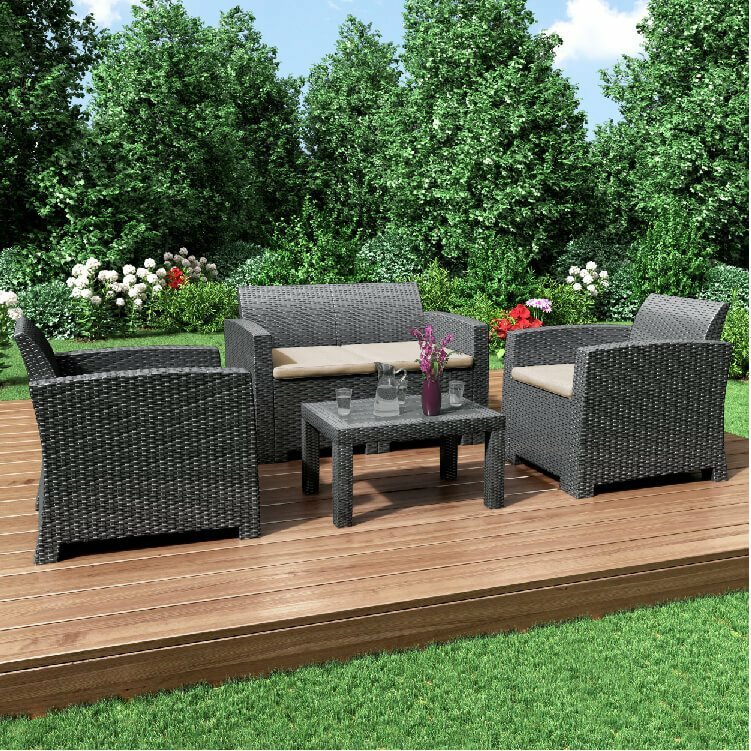 Along with pure comfort and relaxation, the furniture set also comes with the ability to add a sense of sophistication and aesthetic to your garden that will surely attract your guests, as well as offering practical all-year-round seating for your family. 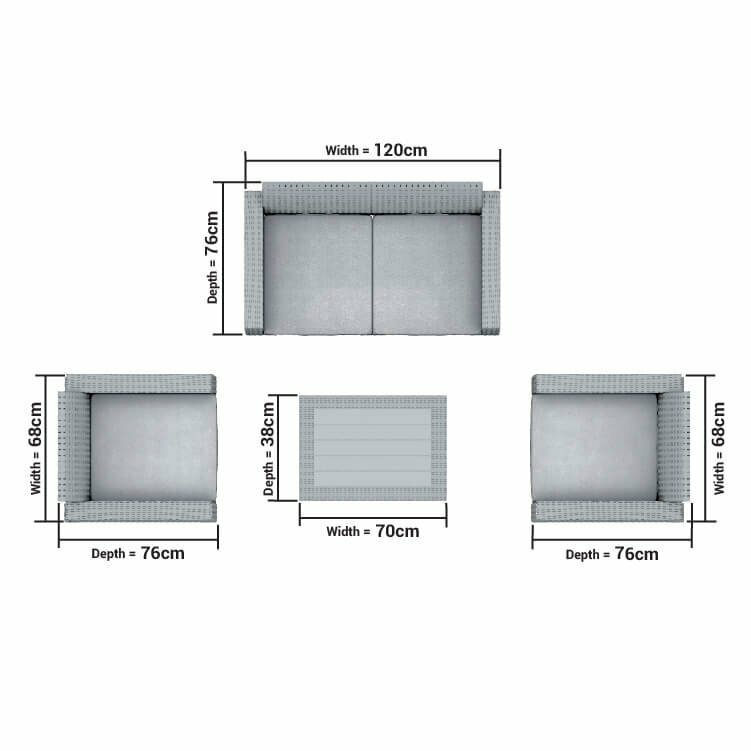 Included in the set are a four-seater sofa, two chairs and one outstanding tempered glass-topped table, making it the ideal ultimate go-to seating for your garden, patio or conservatory! 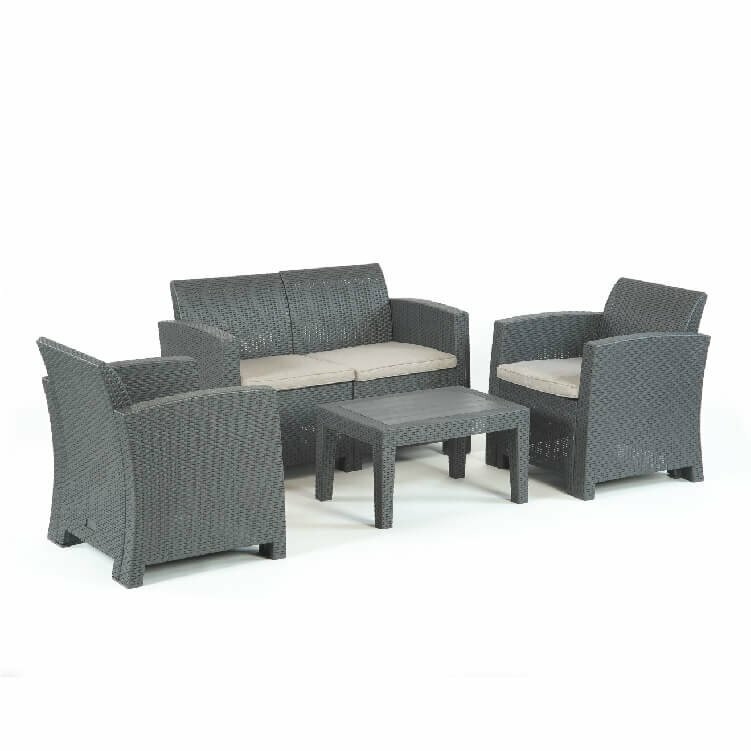 The BillyOh Florence is constructed from premium polyethene rattan which has been woven into a full-round pattern. 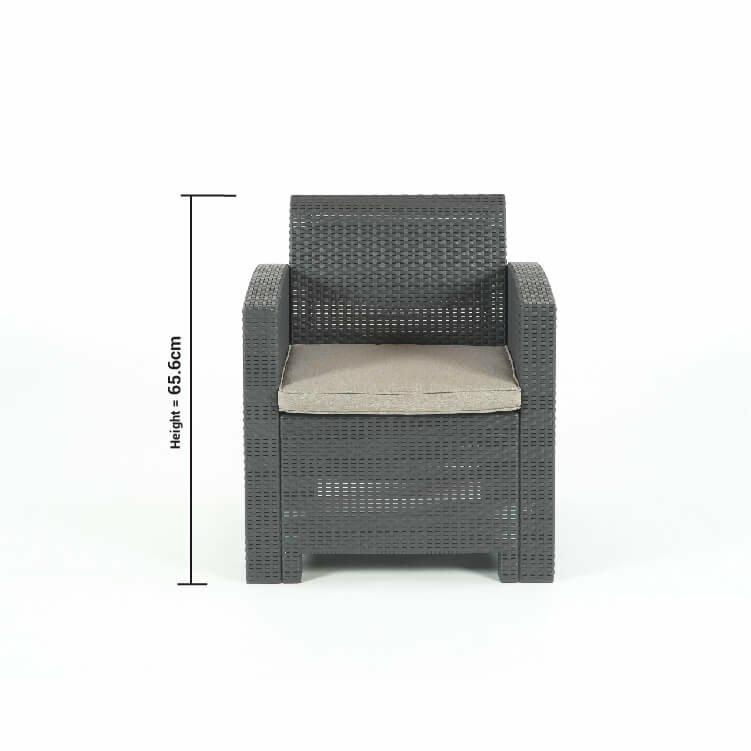 Designed to be high-quality and long-lasting, the Florence is not only a remarkable set that guarantees a relaxing outdoor experience, but it is also strong-made garden furniture that is well furnished to be able to withstand harsh weather conditions. 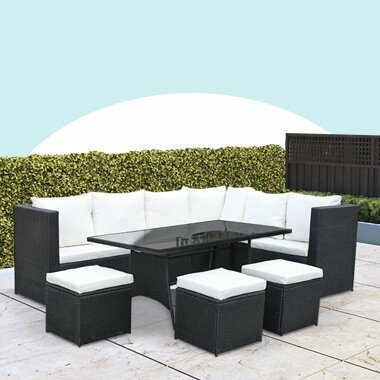 This garden furniture is sure to provide you with peace of mind realising you possess an outdoor furniture set which you’ll enjoy with your family for years to come. 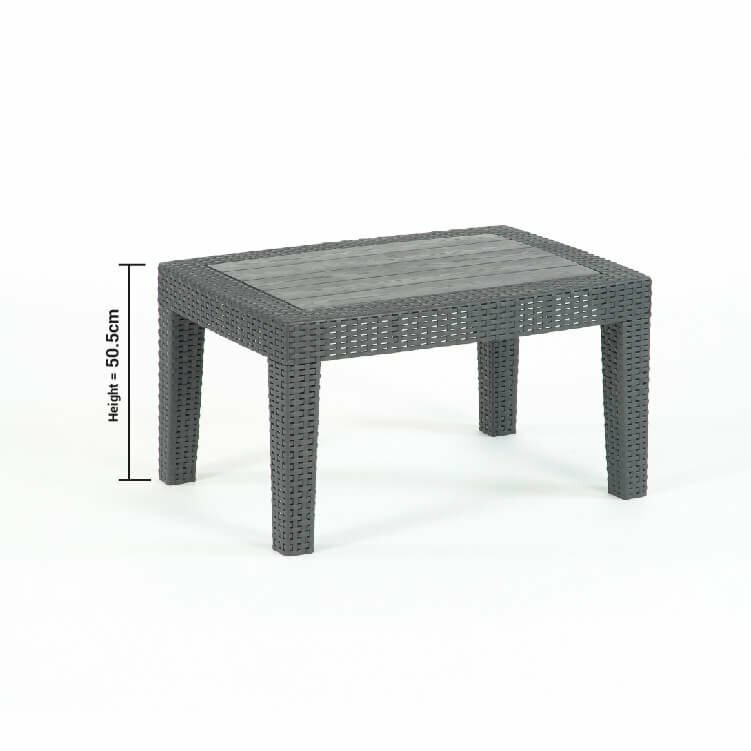 The addition of rattan furniture is sure to create the right impression in any home or garden. The Florence sofa lounge set by BillyOh has a Graphite Grey finish which will blend into most gardens and will add a polished look to any home and garden. 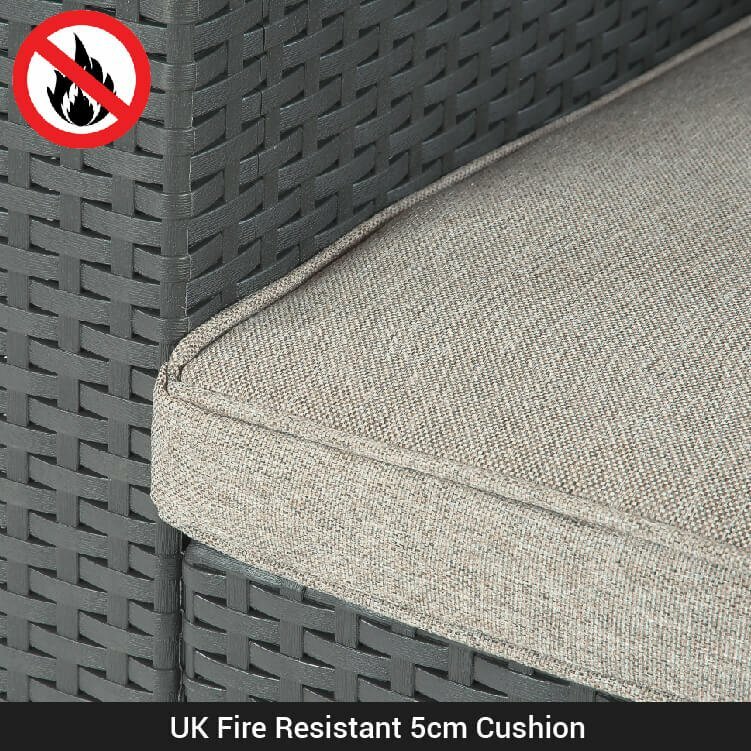 The set also features a weather-resistant flat weave PE rattan, making the material sturdy and reasonably lightweight. 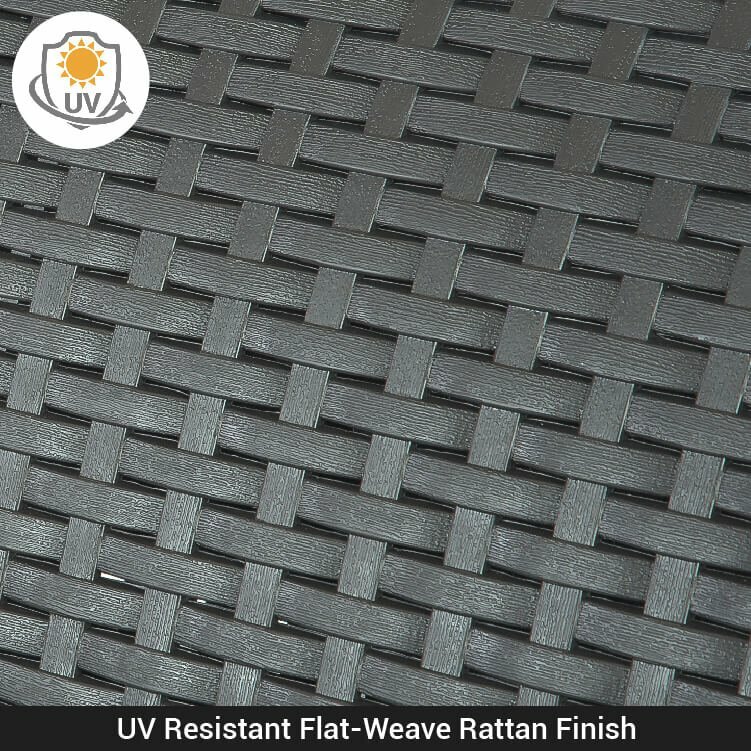 The set can be easily wiped clean after any spillages as it is made from durable polyethene—which only requires little maintenance. The Florence sofa set is accessorised with the softest seat that comes with luxuriously graphite grey seat cushions included. The graphite grey cushions will perfectly indulge your family with the luxury experience you deserve. 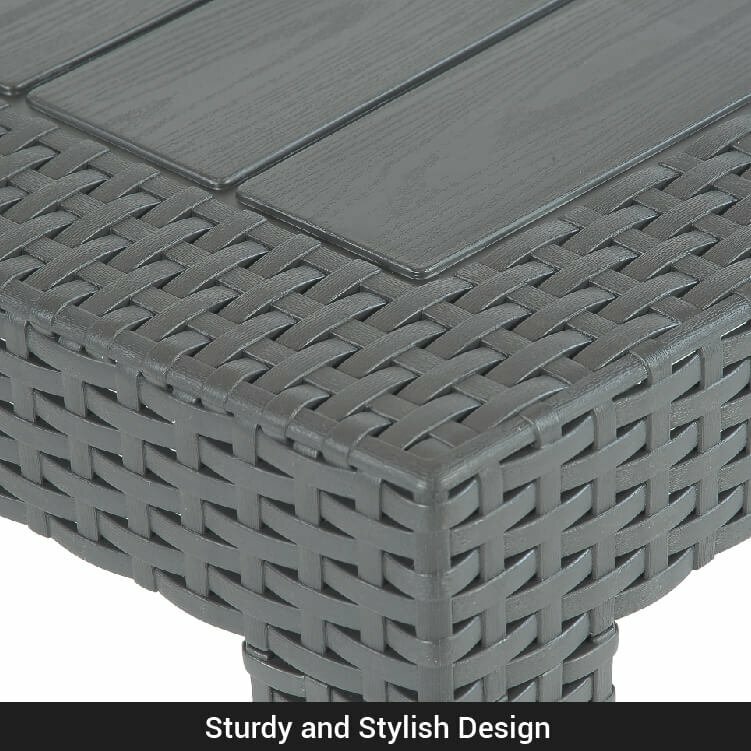 Table Dimension 70cm x 38cm x 50.5cm 2'4" x 1'3" x 1'8"
Chair Dimensions 68cm x 76cm x 65.6cm 2'3" x 2'6" x 2'2"
Cushion Dimensions 52cm x 5cm x 50cm 1'8" x 2" x 1'8"